The dodge in the forrest made me take more than one HDR. This one here came out nicely because the sun hit the car just right. 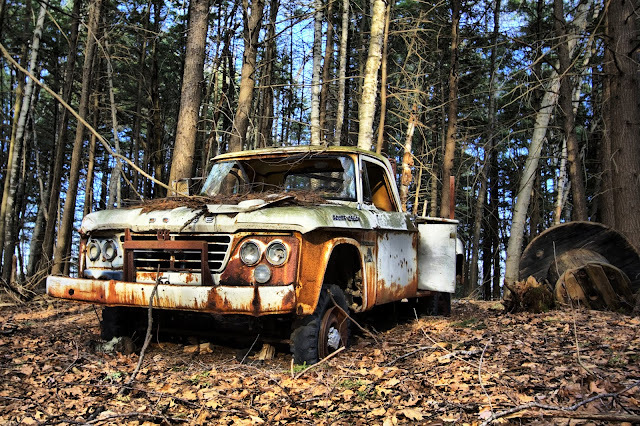 This car has been sitting in the woods of New Hampshire for quite a while. Der Dodge im Wald hat mich zu mehr als einer HDR-Aufnahme veranlasst. Diese hier ist mit dem Sonnenlicht auf dem Wagen wirklich gut geworden. Dieses Auto steht schon lange in New Hampshire im Wald.